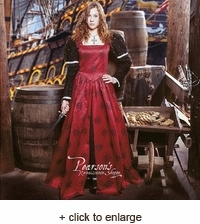 This classic Renaissance noblewoman's dress is created in an Italian style. 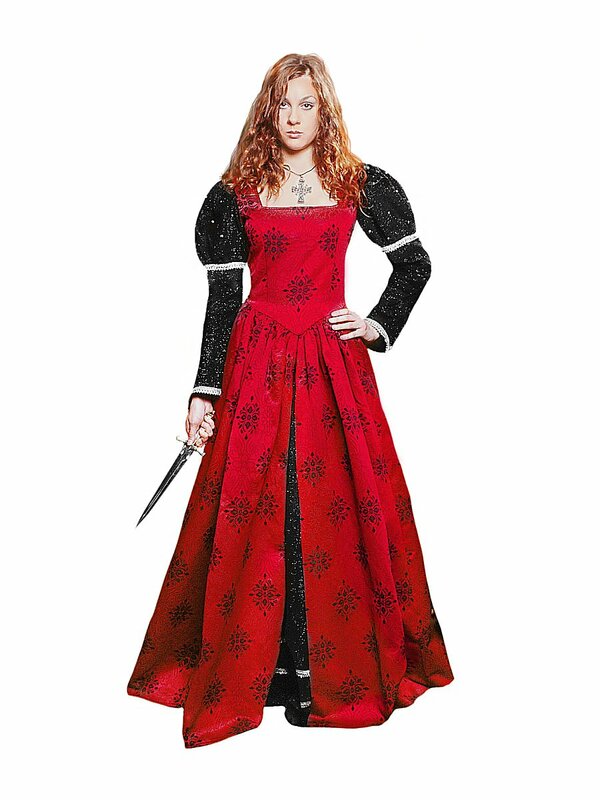 It is an exquisite gown that would be well suited for times at court or other official functions. The burgundy and black floral dress has a black center front skirt panel adorned with a decorative trim. This trim is also found on the sleeves. This dress has a lace up back, adjustable up to 4 inches, to ensure a figure hugging fit. This is a special order item, it will ship out in 1-2 weeks.